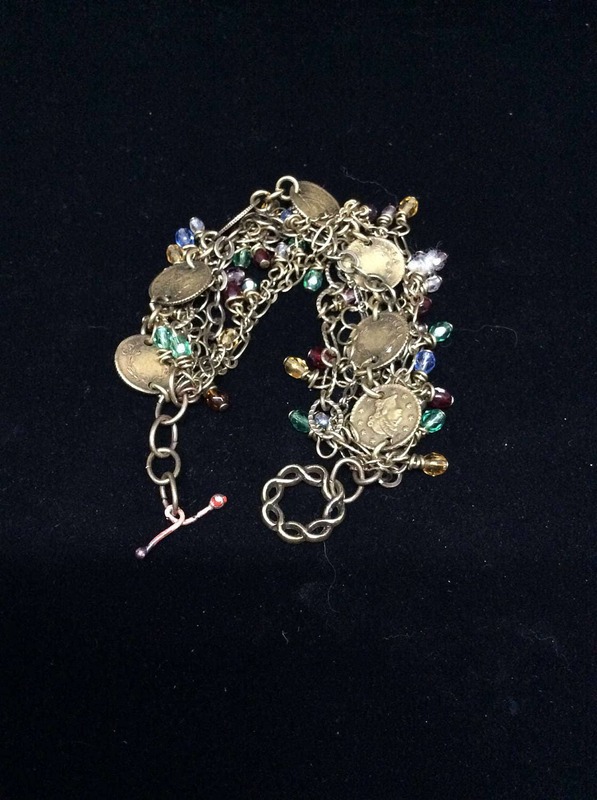 Fun, lightweight, dangles best describes this OOAK handmade bracelet by Jesco Jewelry! 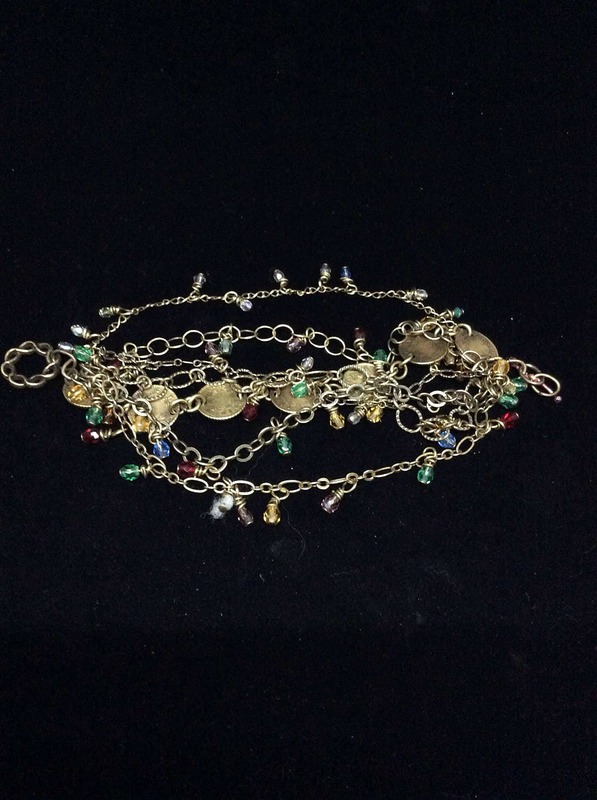 Six vintage brass chains provide a platform for displaying tiny colored crystals. The chains have been gathered over time, and now they come together to make a lightweight, gorgeous adornment for your wrist! 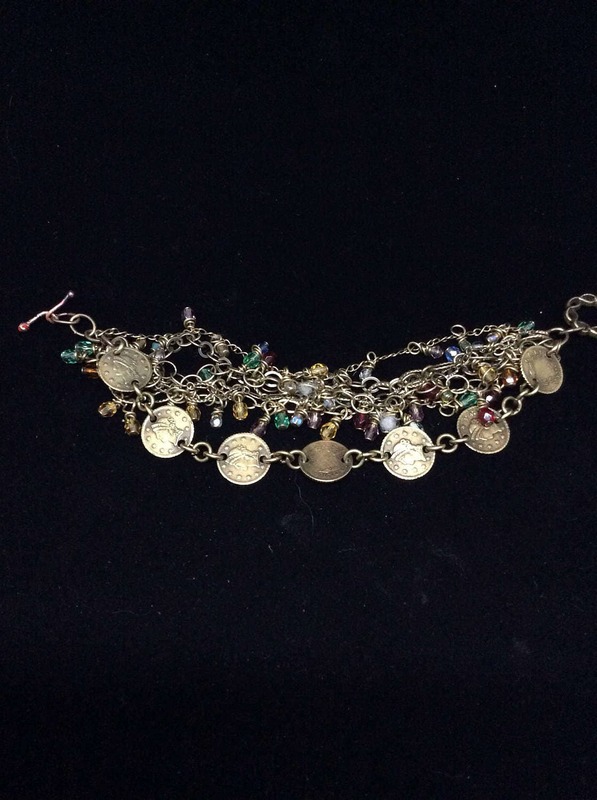 One chain has miniature coins linked together. Others have etched links adding interest and texture. Each colorful crystal has been painstakingly wire wrapped to the chains; randomly placed to give a Bohemian vibe to your piece! The clasp is a toggle style with a manufactured ring and a copper bar with balled ends I created using a torch. Everyone is sure to notice your unusual bracelet! 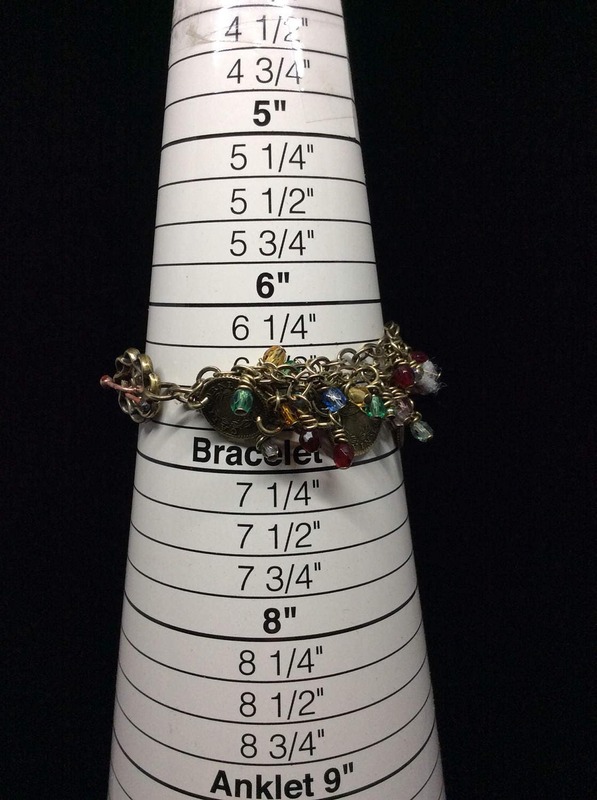 If you're the person who wants a lovely Artisan-created piece of jewelry; who wants something different than mass produced worn by everyone else, then this bracelet belongs to you! Remember, shipping is free and each piece arrives in a box and elastic ribbon suitable for gift giving. 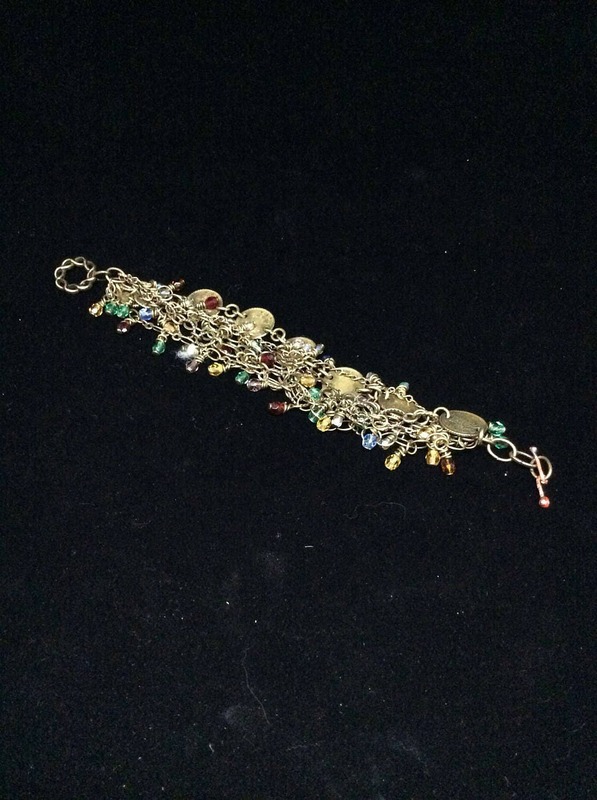 Instead of a padded envelope, I'll ship your bracelet in a sturdy cardboard box with insurance. Please refer to my policies for more shipping info! Thanks for visiting my store! I hope you'll return soon!